Aline was created from a desire to share my family’s food traditions. My love for Lebanese food comes from my mother, Aline. 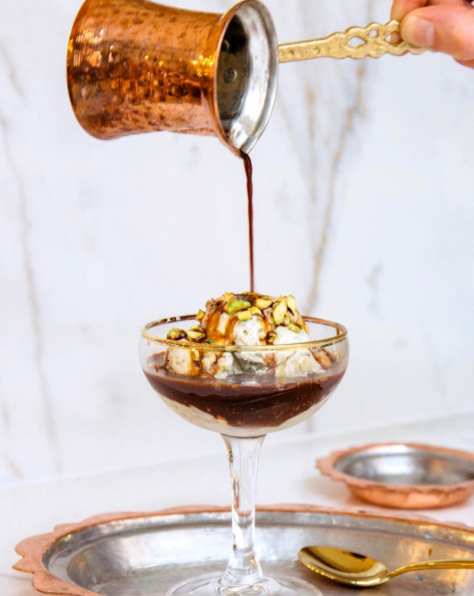 A Passionate home cook, famous for gathering her friends and family around her long table placed in the heart of a bucolic garden we call “Le Jardin d’Aline”. 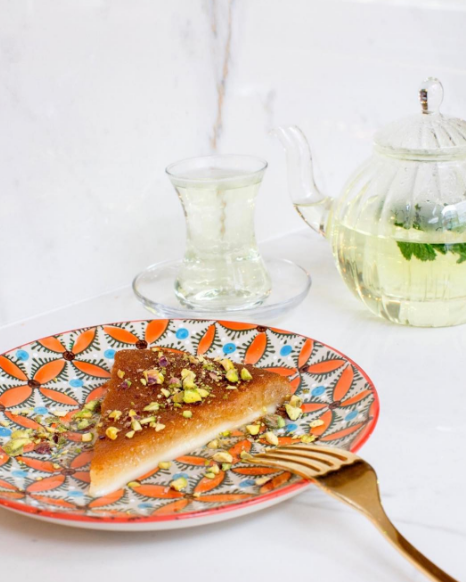 Meals have always been a way for her to teach my sisters and I about our Lebanese heritage. In summer we often enjoyed “Siyadiyeh”, a freshly caught sea bass served with a fisherman’s risotto native to Tyre, my mother’s hometown and in winter we would all gather in the kitchen eagerly waiting for the slow cooked lamb for her famous “Fatteh”. 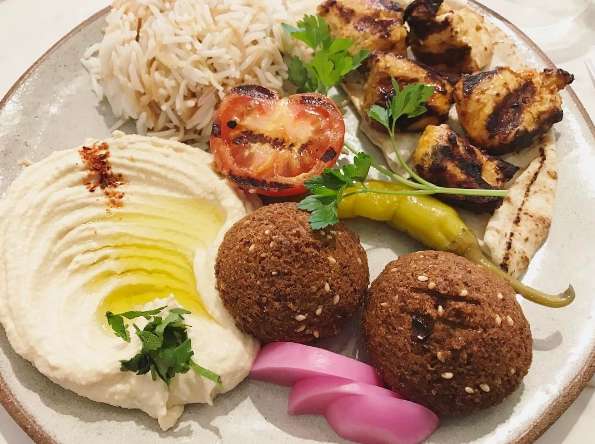 Our dishes are a modern take on everyday Lebanese comfort food. Our ingredients are responsibly sourced and prepared with care, with a menu that offers the best of Lebanese food in all its authenticity. 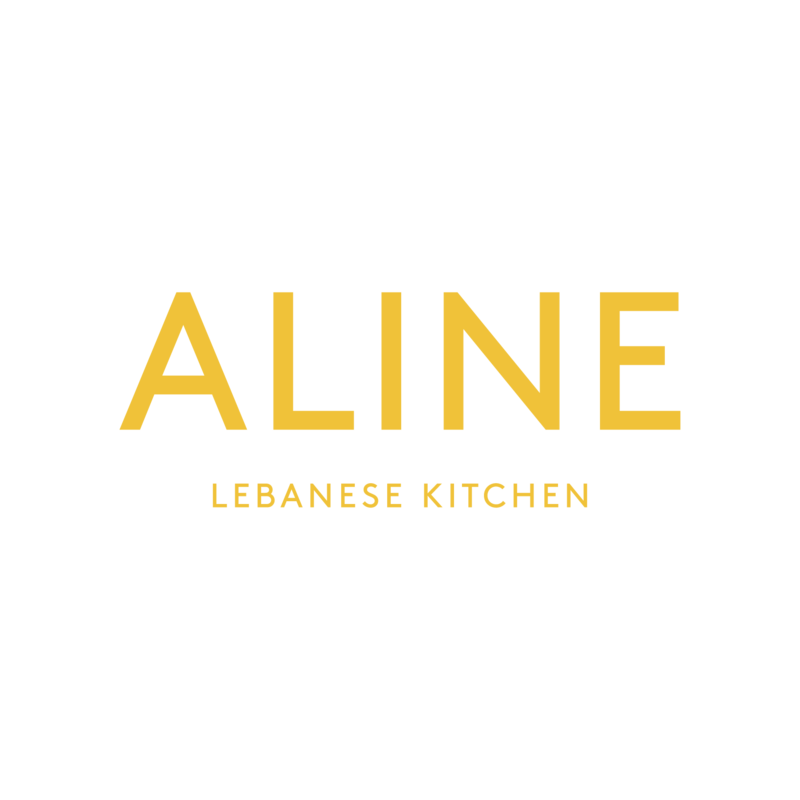 We absolutely loved dinning at Aline! The service is impeccable and the food is delicious. I am Lebanese myself, and going to Aline makes you feel at home. We will definitely make this a usual spot. Best Lebanese restaurant in London, I loved everything about it ! Simple, authentic in a modern/cool setting. Had a fantastic time celebrating my 50th birthday with 16 friends. Great food, great Lebanese wine. Thanks to everyone for making us so welcome! Very good service and fantastic food. I loved this place and will go back... Its not very large so I hope not too many people read this! Seriously highly recommend the food is so fresh and well balanced. You can see from the discerning and varied clientele that this is a restaurant for the discerning palate. It's not exclusive I was a coal miner in my youth. Had a lovely evening. Food was lovely. Staff friendly and efficient. A real find ! Service was friendly, food was delicious, and the staff took great care to cater to the needs of our group. It's also a lovely place to sit and talk, unlike so many restaurants in this part of town. Food was excellent but the service was a bit of a let down. The main server was very good but was overwhelmed when the restaurant became very busy. There was one other waitress but she didn't seem to do very much apart from clear plates and bring drinks. Worth going for the food but not if you are in a hurry. Great food! Just a little lightnon staff when thay are busy! We had a lovely time and thought the restaurant was absolutely gorgeous. Also the staff responded to my online booking comments about it being my friends birthday and surprised us with a traditional dessert and candle. We will be back very soon! great food and service. Everything was fresh and we were served quickly! Great atmosphere, food, and value. Wasn't our first time visiting and certainly interested be our last. Dishes were not all equal, but great experience overall. This is the most amazing little restaurant! The food and service is amazing and it is small and private, I would come back and I strongly recommend this place for anyone who love Lebanon food. Simply a great small Lebanese restaurant! Excellent food, excellent service, excellent atmosphere. All very satisfactory except we found the tables very narrow not much space to keep the food. Also we thought the plates were rather small. Love it. Fresh ingredients beautifully prepared, a little different from the usual Lebanese fare.